First let’s get the Roast Beetroot in the oven! And now, let’s prep and cook the Pulav. Beetroot stains everything dark pink — your fingers, your chopping board, your poo the next day… Be warned! 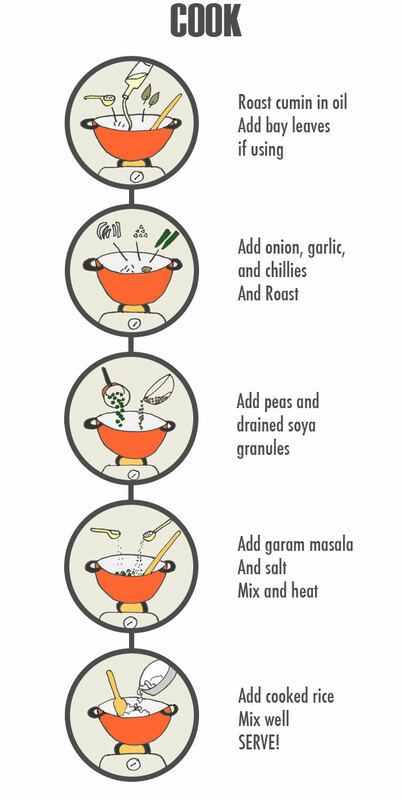 Drain the soya granules and peas thoroughly to ensure your Pulav does not clump. 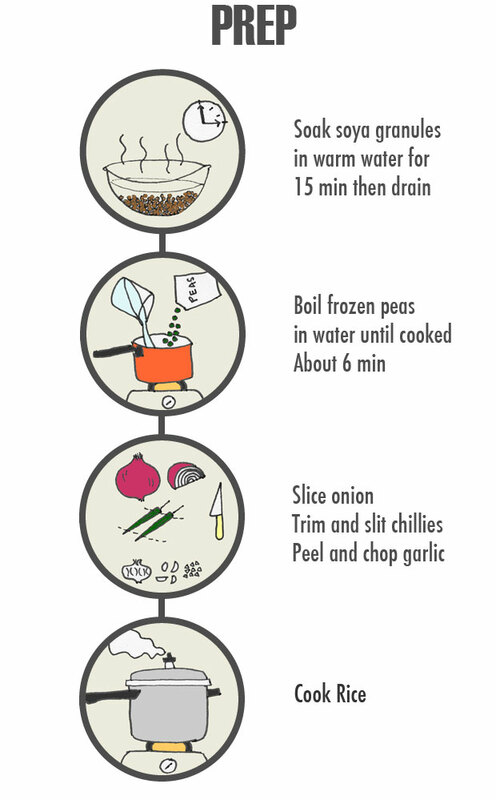 Vary the ratio of rice:peas:soya according to your taste and your protein requirement. 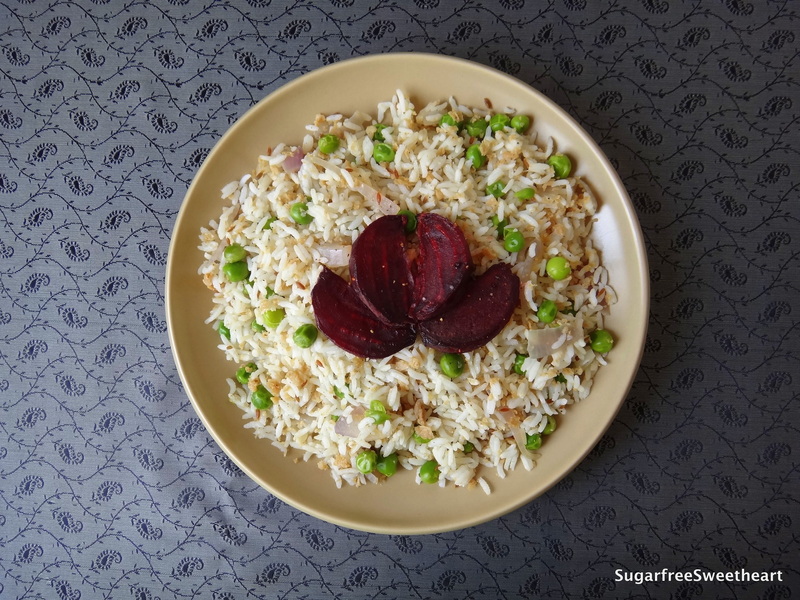 Substitute white rice with brown rice for extra fibre. Thank you! Glad you like! I draw my illustrations on paper and add in colour using Photoshop.